Be sure to take advantage of our special prices while they last! When you replace your furnace, it is required to have duct testing completed. We test your duct system to make sure that they are sealed tight and are energy efficient. - Single Family Residence up to 2,000 square ft.
Duct Testing for HERS 1 T-24 compliance (one system)- total duct leakage (new duct work). HVAC System Airflow Testing- HERS 1 T-24 testing, total measurement of system return airflow. Fan Watt Efficacy- HERS 1 T-24 Testing, HVAC blower fan efficiency. Refrigerant Charge- T-24 Compliance Testing (one system, if applicable). Return Duct Sizing- HERS 1 T-24 Verification (one system). Includes all applicable fees, forms, & online registration processing with CalCERTS. We give you up to 1 hour to make necessary corrections with no additional charge. Will not charge for re-test after first failure if applicable. MUST be on the same day of appointment within the scheduled block of time for your project. Duct Testing for HERS 1 T-24 Compliance (one system)- total duct leakage or leakage to outside testing with blower door (existing duct work). Duct Testing for HERS 1 T-24 compliance (one system)- total duct leakage & leakage to outside testing with blower door. Discount applies to volume pricing only! HVAC Contractors will receive discounted rates for multiple HERS Testings. Please contact us to receive a volume pricing special rate on packages. *South Riverside County areas include, Temecula, Murrieta, Lake Elsinore and surrounding areas. ​**All HERS testing services must be performed on single-family residence of 2,000 sq.ft or below, homes must have SDG&E and/or SoCal Gas/ SCE utility service providers. 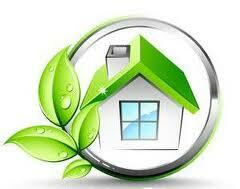 Homes that do not meet requirements can contact Jones Energy Solutions by email or phone to receive customized quote. Prices are subject to change based on number of HVAC systems, additional building features, and changes in work scope. Advanced, & Energy Upgrade CA. Energy Upgrade Advanced Audit: Home Energy Diagnostics, evaluation, combustion testing, for rebate & program eligibility. Infrared Home Energy Audit: Infrared Home Inspection of exterior, interior, and unconditioned areas of home (garage & attic). ​*All Auditing services & HERS II Assessment Ratings must be performed on single-family residence of 2,000 sq.ft or below, homes must have SDG&E and/or SoCal Gas/ SCE utility service providers. Homes that do not meet requirements can contact Jones Energy Solutions by email or phone to receive customized quote. Prices are subject to change based on number of HVAC systems and additional building features. Schedule an appointment today for your HERS Testing or Home Energy Audit! Should you need to reschedule or cancel your appointment, please contact us 24 hours before your project’s scheduled date. Appointments that are cancelled without prior notification or cancelled on the day of testing are subject to a $100 cancellation fee. These terms are not applicable to appointments made less than 24 hours for emergency projects. Please read our HERS Rating Policies page for more information. At Jones Energy Solutions, you will receive quality HERS Rating tests as our objective is to see your project meet energy code compliance. As part of our special HERS packages, we assist with processing all online forms, registration on CalCERTS, and certification. Additionally, with our special HERS Rating package deals, we do not charge extra fees if we have to re-test on the same day. Be sure to take advantage of our energy efficiency services that we offer at affordable prices. When you need a HERS test for any recent HVAC upgrade or new construction project, please contact us so we can assist you appropriately.